The devastating earthquake that struck Palu on the island of Sulawesi last September ripped through the Earth’s crust at a rare high speed, scientists have found. The 7.5-magnitude earthquake was likely intensified by the so-called supershear effect that triggered the tsunami, killing more than 2,000 people. This finding has raised fear that far more regions could be at risk of high-speed quakes like the one hitting Palu. As reported by Science Magazine, the Palu earthquake took place on a strike-slip fault, where two blocks of continental crust slide past each other laterally. From the start, it stood out as unusual, Lingsen Meng, a seismologist at the University of California, Los Angeles told Science Magazine. The earthquake’s shaking seemed especially powerful for its magnitude, which triggered widespread soil liquefaction and landslides. Satellite imagery showed that the rupture extended as far as 150 kilometers, despite the earthquake’s mere duration of 35 seconds. It traveled more than 1 km per second faster than a typical earthquake. A standard rupture will unzip a fault at a uniform rate of about 3 km per second, below the speed of an earthquake’s damaging side-to-side waves, called shear waves, which spread out from the rupture tip. For the Palu quake in Sulawesi, geology seemed to impose the speed limit. The rupture point chews up energy as it pulverizes rock, and seismologists believe a supershear rupture consumes too much energy to be sustained. Fewer than 15 of these superfast-moving extra-powerful earthquakes have ever been identified. In earthquakes that have broken the supershear barrier, the ground generally shakes much more strongly. As the rupture gathers speed, the earthquake’s shear waves begin to overlap, increasing strength like overlapping waves in the ocean. A supershear earthquake was first documented with two 1999 earthquakes in Turkey. Earthquakes of this degree were all found to take place on long, linear and smooth strip-like faults, where sliding allows the rupture to gather speed and leap past the forbidden zone. But Meng and his co-authors reveal in Science Magazine that Palu’s earthquake broke that rule. The authors analyzed factors including the speed of the rupture and satellite radar observations from before and after the quake to learn how the rupture displaced the ground. Rather than being a straight runway, the fault had big kinks, but the rupture still went supershear. 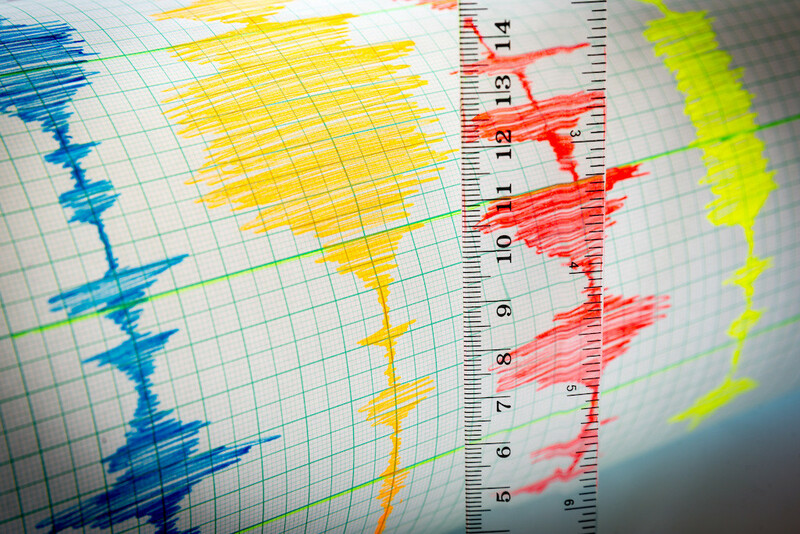 Scientists found other puzzles in the study of the Palu quake. Although it travelled at high speeds, it was not quite as fast as previous supershear earthquakes, which typically run as fast as their leading pressure waves, at 6 km per second. One factor may be the age of the Palu fault – a region hit by many earthquakes in the past, therefore leaving shattered rocks that slow down the rupture. Furthermore, rather than gradually building up speed like previous supershear quakes, this one hit top speed immediately, like a jet going supersonic at take-off. “Even in these complicated and rough faults, it can go supershear, and it can go supershear right away,” Meng said. In the researchers’ second study, they analyzed only one segment of the rupture, supporting the finding that the Palu earthquake went supershear. They found that the ground slipped almost seamlessly north and south, with little vertical motion, and the quake had no aftershocks – consistent with traits of previous supershear earthquakes. Further diagnostics into the tsunami’s cause suggest that only a supershear event can explain the observations. Martin Vallée, a seismologist at the Institute of Earth Physics in Paris, says the evidence is both convincing and disturbing. Evidence that even tortuous faults can break the speed limit means that “it is difficult to exclude supershear behavior on most faults,” he said.